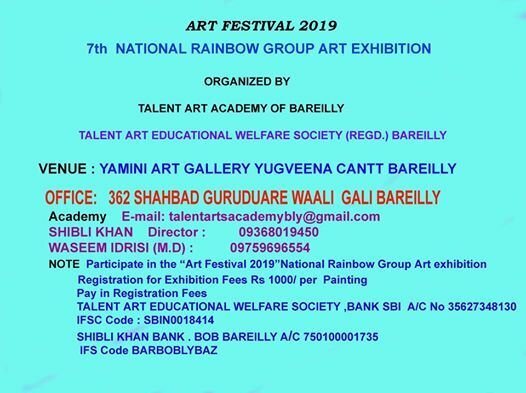 7th NATIONAL RAINBOW GROUP ART EXHIBITION . 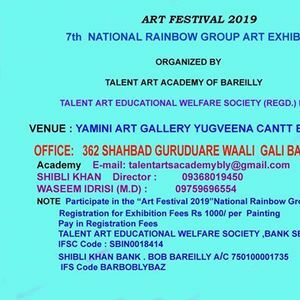 YAMINI ART GALLERY YUGVEENA CANTT BAREILLY . 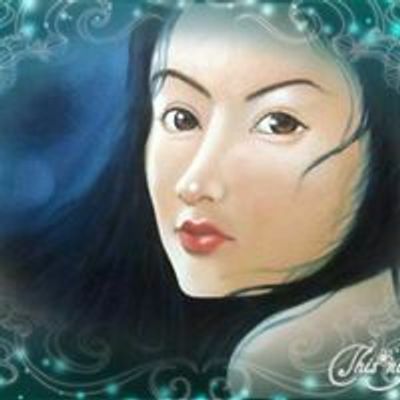 TALENT ART ACADEMY OF BAREILLY .